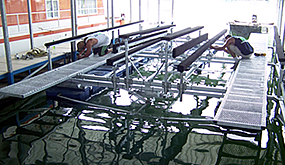 Our Boat Floater Classic Model boat lift was originally designed in 1974. 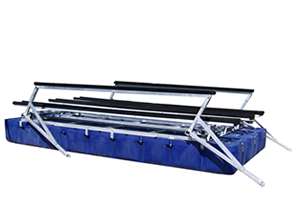 This boat lift model has Boat Floater designed polyethylene tanks carrying a limited lifetime warranty. 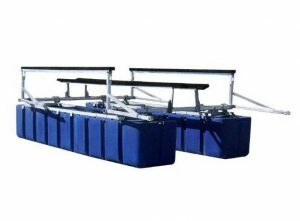 The newly designed Boat Floater Free Float lift features Boat Floater designed polyethylene tanks with limited lifetime warranty. Perfect for wider boats in narrow slips. Our Shallow Water lift needs only 26” minimum water depth plus the boat draft. 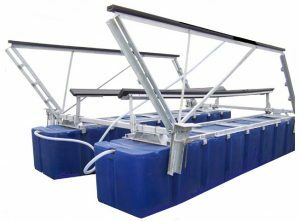 It features shallow water Boat Floater designed polyethylene tanks with limited lifetime warranty. 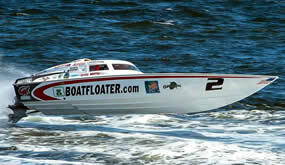 Boat Floater Industries is the proud sponsor of Scott Free Racing’s BoatFloater.com Super V.
Find out how buying a lift made 100% in America provides you peace of mind and jobs for many! Do you love boating, being on the lake, and serving fellow boaters? All right, that’s what we like to hear. 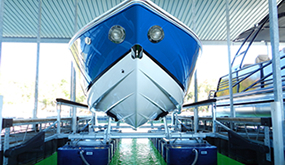 Boat Floater has been in the business of building quality, high-performing, long-lasting boat lifts in the U.S.A. since 1974. All of our lifts are designed, engineereed, and manufactured right here in America. We hear from customers across the country and in Canada that they’ve had their boat lift for over 30 years. This alone speaks volumes about the integrity and longivity of our products. We are avid boaters ourselves and the last thing we want to think about is the safety of our boat while we are away. 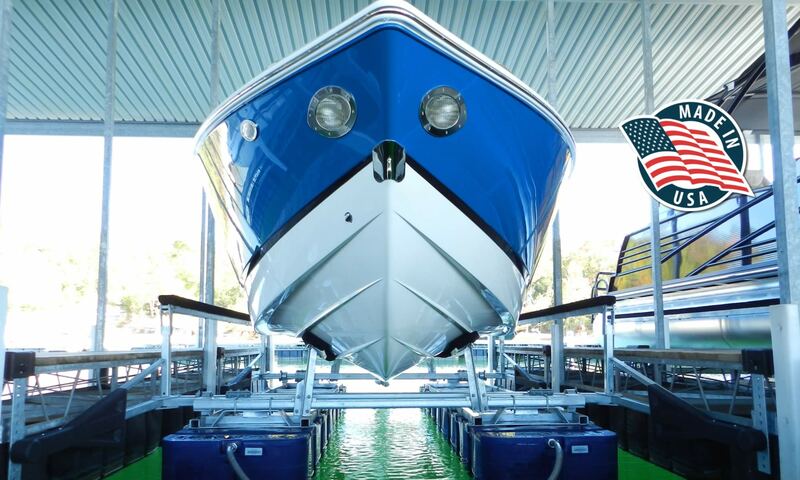 Our boat lifts provide a cradle of security for your boat that protects it from rough and damaging water, keeping it safe and sound in your dock. After all, a boat is a large investment and placing your investment on a lift that has the reputation of standing the test of time provides peace of mind and can save your boat from the harsh conditions of lake water.